Prominent & Leading Manufacturer from Ahmedabad, we offer close loop water re-circulation system of pharma industries. We have achieved huge prominence in exporting and supplying Close Loop Water Re-Circulation System of Pharma Industries. 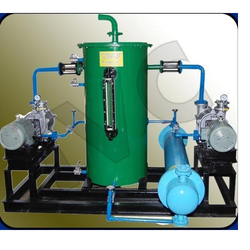 These systems have intensified uses in pharmaceutical industries for effective water re-circulation process as these are suitable continuous operation. The procurement of these systems is done from acclaimed vendor, who manufacture them in compliance with latest industrial norms. Furthermore, we intend to make supply of these products to customers with the utmost assurance of in-time deliverance. Looking for Close Loop Water Re-Circulation System of Pharma Industries ?